Before you pull out your iPhone to ward off the boredom you assume will come, know this: the concept of risk pools is at the heart of today’s healthcare reform debate. So, for instance, if an estimated one out of eight women (about 12%) will get breast cancer in their lifetime, and an insurance company only insures eight women, then it knows, for sure, that one of those women will get breast cancer and it will have to pay large medical claims (in addition to all expenses) from the premiums it collects from just those eight women. So you can bet those eight women are going to pay huge premiums! Now imagine that same health insurance company insuring 8 million women. Of those 8 million, if 12% get breast cancer that’s 960,000 women with breast cancer but more than 7 million without. Suddenly, there is a huge pool of premiums from which to pay those claims, so everyone’s claims are relatively low. Another way of thinking about risk pools is to image putting three drops of green dye into a cup of water. The water will turn a fairly strong shade of green. But put those same three drops into a swimming pool and you wouldn’t even have enough green for St. Patrick’s Day. 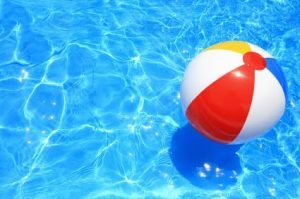 You have diluted the dye with that larger pool of water, just as a larger risk pool dilutes an insurer’s risk of claims. Why? Because most people are, bottom line, healthy. The more healthy people in your risk pool, the more money you have available to pay the claims of the sick people. Which brings us to the current topic in the healthcare reform marathon. Health insurers raising premiums up to 100 percent or more. Most of these premium increases are occurring in the individual insurance market, in which people buy their own health insurance rather than having their employer purchase it for them. This has always been a relatively small market, or risk pool, so premiums have always been relatively high. Premiums have also traditionally been high because people forking out their own money for health insurance are more likely to have a health issue than those who don’t. However, with the recession the market has gotten smaller as healthy people drop their insurance (crossing their fingers that they don’t get hit by the proverbial bus tomorrow) to save money. The smaller the pool, the greater the risk, the higher the premium. Enter healthcare reform. If the current plan (or plans–I’ve lost track as I’m sure you have) go through and all Americans are required to have coverage in one way or another, then anyone not covered through an employer would be part of one enormous risk pool. We know, for instance, that there are about 35 million Americans out there who haven’t even put their toe into the pool; now they’ll be able to dive in. That, in turn, should (conceivably) lower premiums for all of us in the independent healthcare pool. The same goes for employers; if they are required to cover all their employees then, conceivably, their health insurance premium increases should slow given the larger risk pool. Now, this is a very simplistic way of looking at it and I’m sure someone is going to tell me I got something wrong (and that’s ok, I’m ready to listen). At the very least, however, I hope it’s helped you understand why it is so important that everyone take their little cups of water and pour them into one big pool. Statistics are not my strong point, but it seems to me that if the premiums collected from 8 people are not enough to cover the expenses of 8 cancer patients, I don't think multiplying by 1,000,000 will change the outcome. However, covering 8 million people (both men and women) would help a lot. Also, breast cancer is not a particularly good example because particular behaviors have not been linked to the disease and prevention is still a mystery. No matter how many women you enroll, the percentages are likely to remain the same. Unfortunately, the only way ensurers can come out ahead is to cherry pick from the pool by excluding groups likely to become ill (in the case of breast cancer, it would be all women) or by trying to enroll more than their share of healthy people (their current method). I don't see how we can reduce the cost of health care without reducing the amount of the premium going to insurance companies for administrative and marketing expenses. Since everyone gets sick eventually (or wants expensive tests to make sure they are not sick), expanding the risk pool will not solve the problem. Deb, I wish politicians in the healthcare debate would read your clear, easy-to-understand explanation! Their endless arguments over arcane details just confuse the general public, making people reject solutions that actually would be very beneficial. Please consider submitting this for publication in popular magazines and newspapers. You're right. . . but insurance has been around far longer than socialism (I think). Very astute comment and I totally agree with you. It's funny – wasn't the notion of requiring people to buy insurance one of the things that had people screaming socialism and unconstitutionality? What could be more socialist than the concept of insurance to begin with? Aren't people require to have car insurance? Homeowner's insurance? I have no sympathy for insurance companies, but they have a point: in order for more sick people to be covered, more healthy people must be covered. Eric M.